Boxes of UniPower serie radically change the concept of on board power supply. UniPower Spark, with only two batteries, generates the necessary outputs for all on board devices. 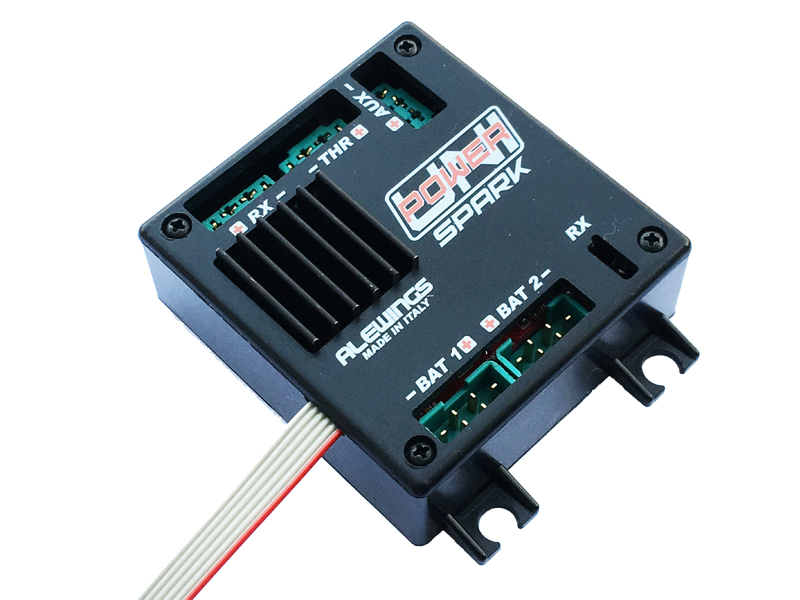 It means that you will have redundancy not only for receiver and servos but for all on board systems, included the power supply to the engine. Its optimal use is on medium size models with spark ignition engine where having redundancy, reducing the weight and managing batteries are fundamental aspects of the on board power supplying. Thanks to the presence of two batteries and double circuits, if one power supply way has a problem, the other comes into operation. So the power supply of all outputs is always assured. 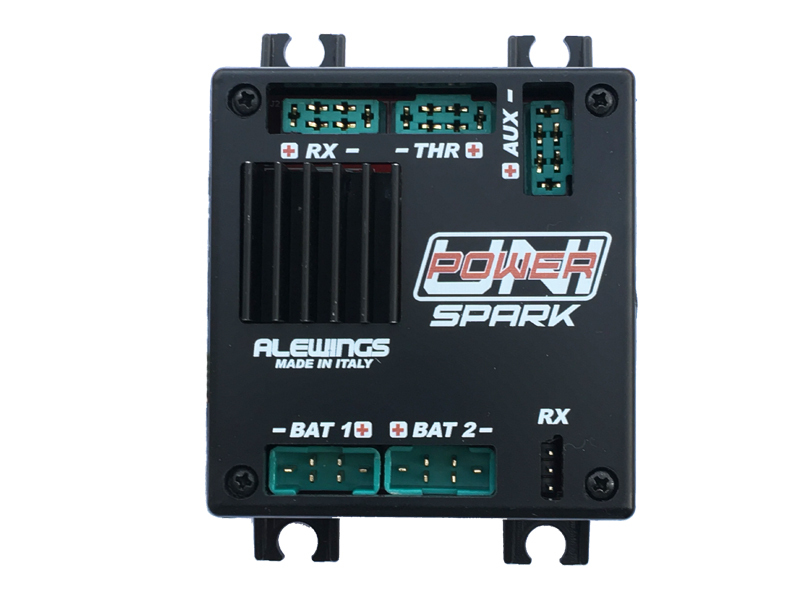 UniPower Spark differs from other UniPower boxes for the presence of a Kill Switch function which permits to manage the turning on and off of the electronic ignition of the engine by means of a double position switch on your transmitter. For maximum security, it is possible to set a fail safe in case of loss of signal from receiver. 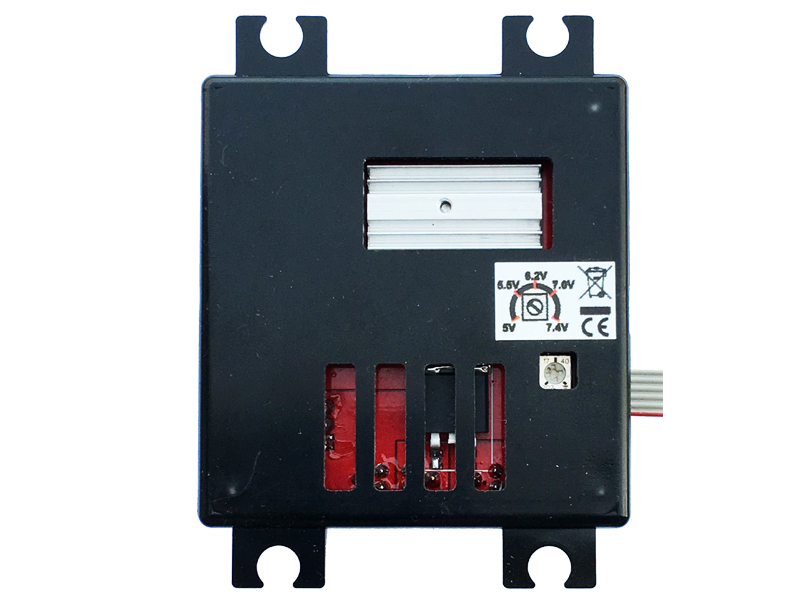 -the first supplying servos and receiver: it is provided with a voltage regulator managing up to 30A; you can set the output voltage at any value between 5V and 7.4V turning the selctor by a screwdriver. 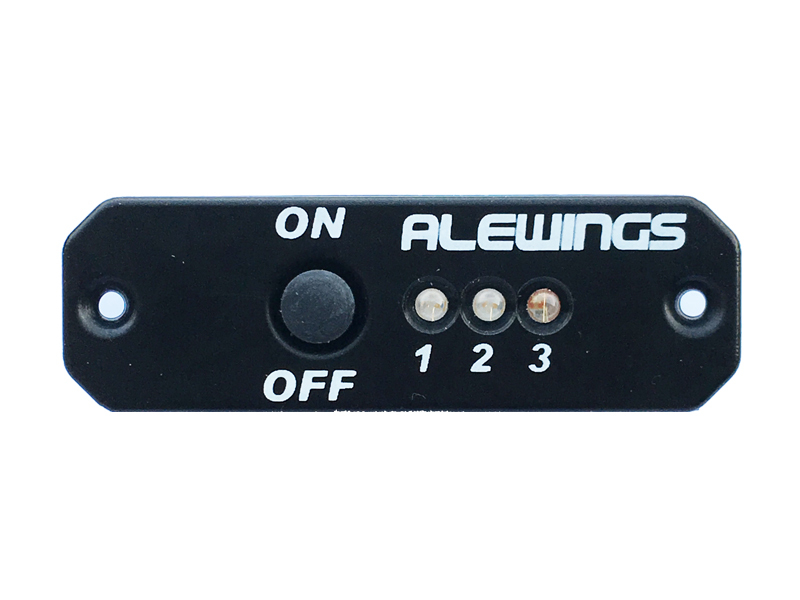 -the third, divided in 3 branches, supplying landing gears, brakes, smoke system or light system: it is not stabilized and each branch is protected by a 10A fuse. UniPower Spark is provived with the external panel for turning on and off (you can choose between button and magnetic version); on the panel are also positioned the three LEDs for checking the state of charge of the batteries, the activation of the engine supply and any anomaly of the system. 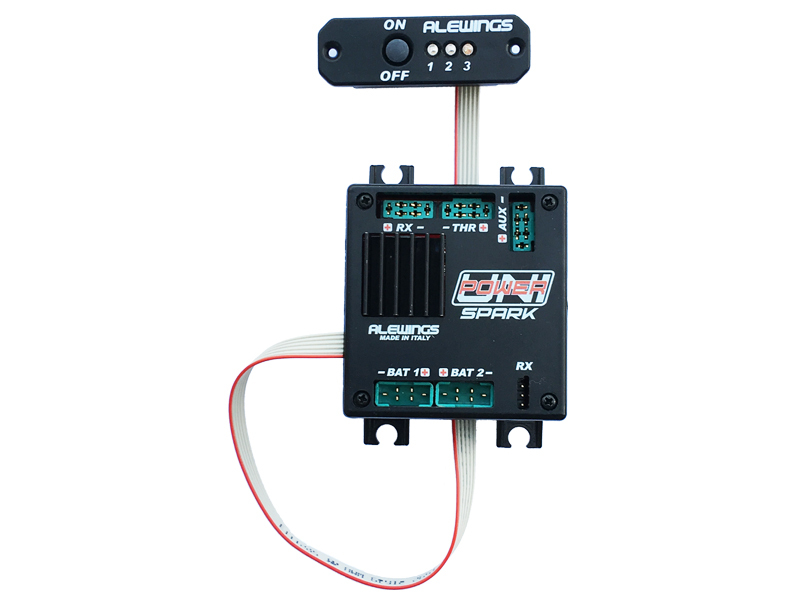 Integrated MPX connectors and all accessories for mounting are included.